Maria J. (Bajgrowicz) Padykula, 64, of Salem, N.H., passed away peacefully at Mass. General Hospital in Boston on Sunday, February 3, 2019, with her family after a courageous battle with Multiple Myeloma. The daughter of Stacia Bajgrowicz and the late Walter Bajgrowicz, Maria was born in Wadowice, Poland on April 24, 1954. She came to Greater Lawrence as a child, and was a graduate of Holy Trinity School and Lawrence High School. After her marriage and while raising her family, she was employed as a secretary and later as an office manager for several auto dealerships. For the last 12 years, she was employed part-time, in addition to taking care of her grandchildren. Maria was a dedicated wife, daughter, mother and most importantly a Babcia. She treasured her children and embraced every moment with them. She especially loved her role as Babcia and adored her grandchildren, her munchkins. She was an avid sports fan of her grandchildren's athletic events and never missed a game, she was their number 1 fan. A devout Catholic, she attended the former Holy Trinity Church of Lawrence, and currently attended Holy Rosary Church-Corpus Christi Parish in Lawrence. She was a member of the Ladies Polish Rosary Group and the Ladies Auxiliary for the Polish American Veterans of Lawrence. She resided in Lawrence most of her life until moving to Salem, NH, several years ago. Maria is survived by her mother, Stacia Bajgrowicz of Salem, NH, her husband, Stanley J. Padykula of Salem, NH, with whom she shared 45 years of marriage; her son, Mark Padykula and his wife Deborah of Londonderry, NH; her daughter, Kasia Trudel and her husband Jarod Trudel of Windham, NH; her grandchildren, Benjamin Padykula, Lexi Padykula, Andrew Trudel, Joshua Trudel, and Jacob Trudel; a brother, Adam Bajgrowicz and his wife Karen of Salem, NH; and several nieces, nephews, aunts, uncles and cousins, locally and in Poland. Relatives and friends may call Thursday, February 7, 2019, from 4:00 p.m. to 7:00 p.m. at the Dewhirst and Boles Funeral Home, 80 Broadway, Methuen, MA 01844. A Funeral Mass will be held Friday, February 8, 2019, at 1:00 p.m. in Holy Rosary Church-Corpus Christi Parish, Essex St., Lawrence. Burial will follow in the Bellevue Cemetery, Lawrence. 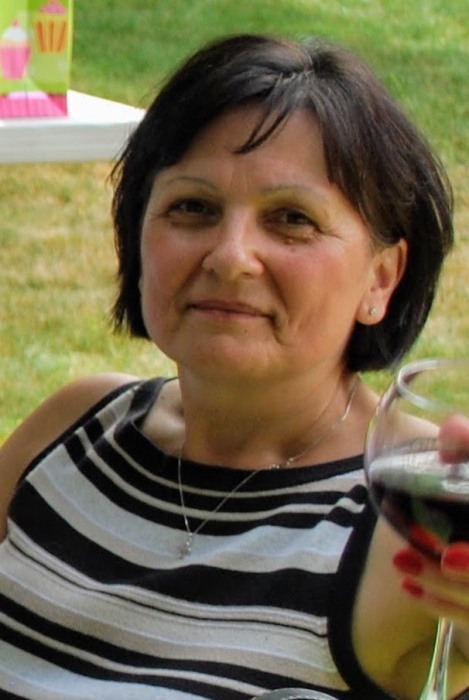 In lieu of flowers, memorial contributions in Maria's Memory may be made to: Multiple Myeloma Research Fund, c/o Development Office, Attn: Tyrone Latin, Massachusetts General Hospital, 125 Nashua St., Ste 540, Boston, MA 02114.